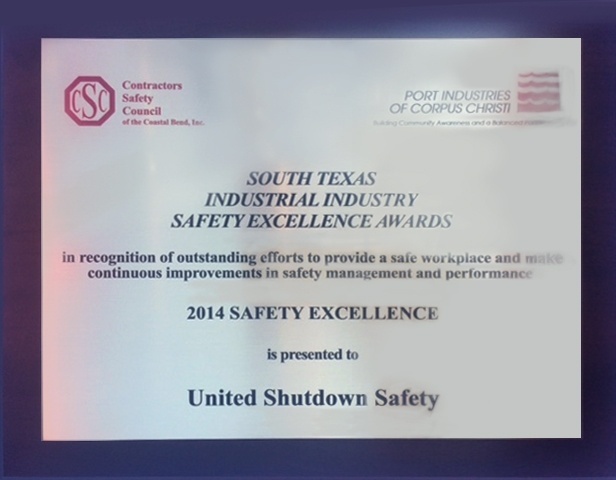 The Contractor Safety Council of the Coastal Bend presented United Safety USA with the South Texas Safety Excellence Award. 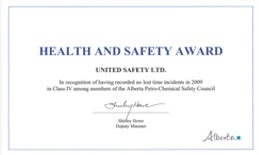 The award recognizes outstanding efforts to provide a safe workplace and make continuous improvements in safety management and performance during 2014. 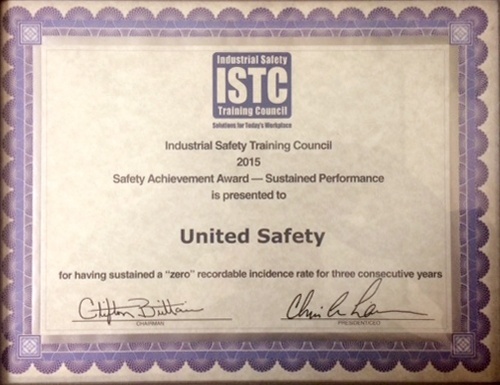 ISTC Safety Achievement Award – Sustained Performance – for sustaining a “zero” recordable incidence rate for three consecutive years. 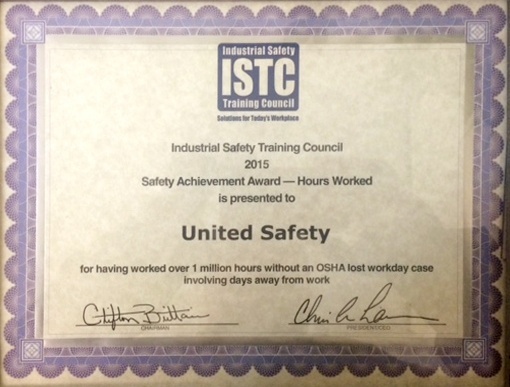 ISTC Safety Achievement Award – Hours Worked – for having worked over 1 million hours without a lost workday case involving days away from work or fatality. 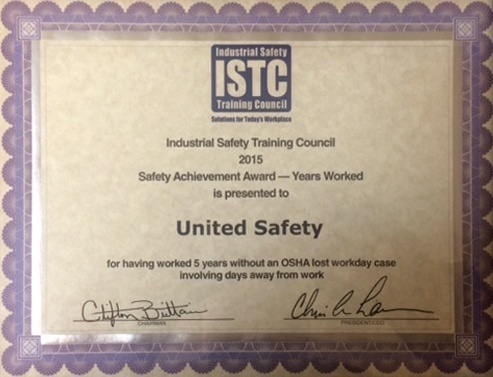 ISTC Safety Achievement Award – Years Worked – for having worked five years without a lost workday case involving days away from work or fatality. 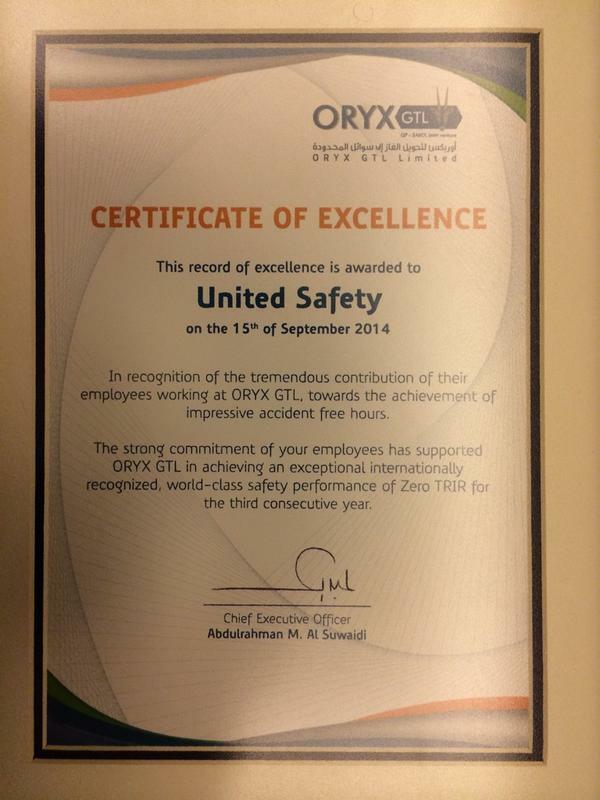 United Safety Qatar has been awarded the Certificate of Excellence by Oryx GTL, in recognition of our contribution to their world-class safety performance. 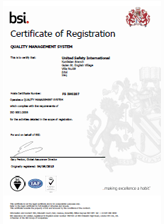 United Safety International in Erbil, Iraq has been awarded the prestigious Quality Management System ISO 9001:2008 certification. Clients can be assured of consistent processes that result in dependable quality each and every time. 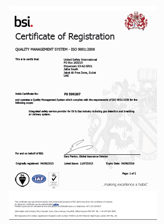 United Safety International in Dubai, UAE has received the prestigious Quality Management System ISO 9001:2008 certification to ensure clients of consistent, reliable quality. 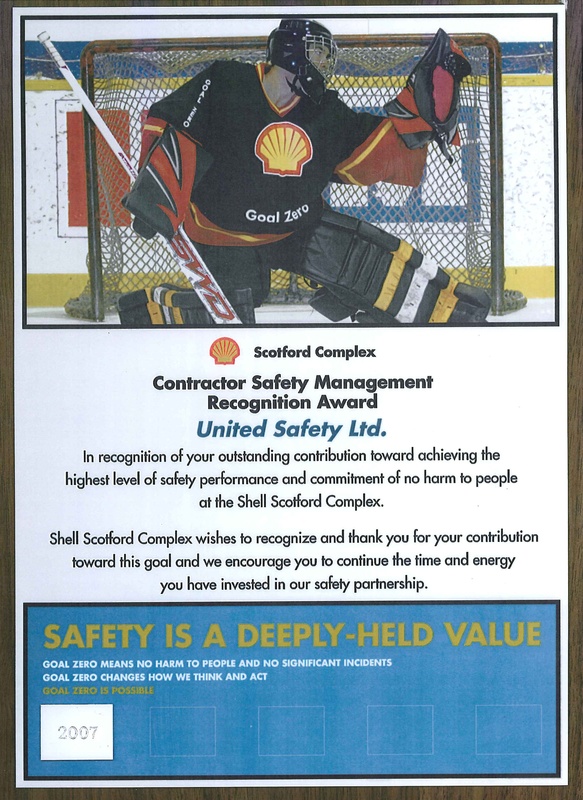 Shell Canada Energy: United Safety was recognized by Shell Canada Limited for the company’s valuable work in creating a legislative reference guide to accompany Shell’s Life Saving Rules. 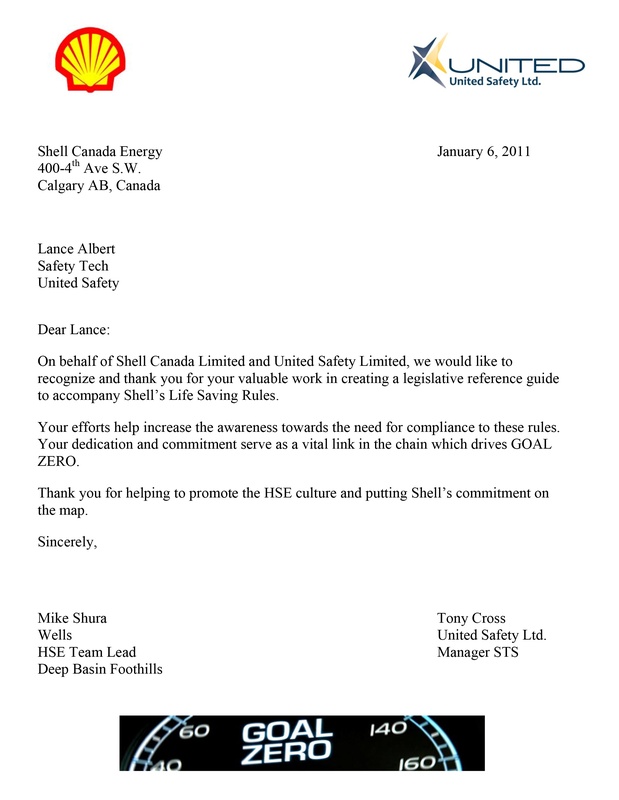 Shell Canada Energy further states that United Safety has increased the awareness towards the need for compliance to Life Saving Rules that serve as a vital link to achieving GOAL ZERO. United Safety is a member of the IADC Rig Pass program, an accreditation system delivering a standardized safety orientation program for new employees, preparing the employees for almost any operating environment, at almost any site, onshore or offshore. 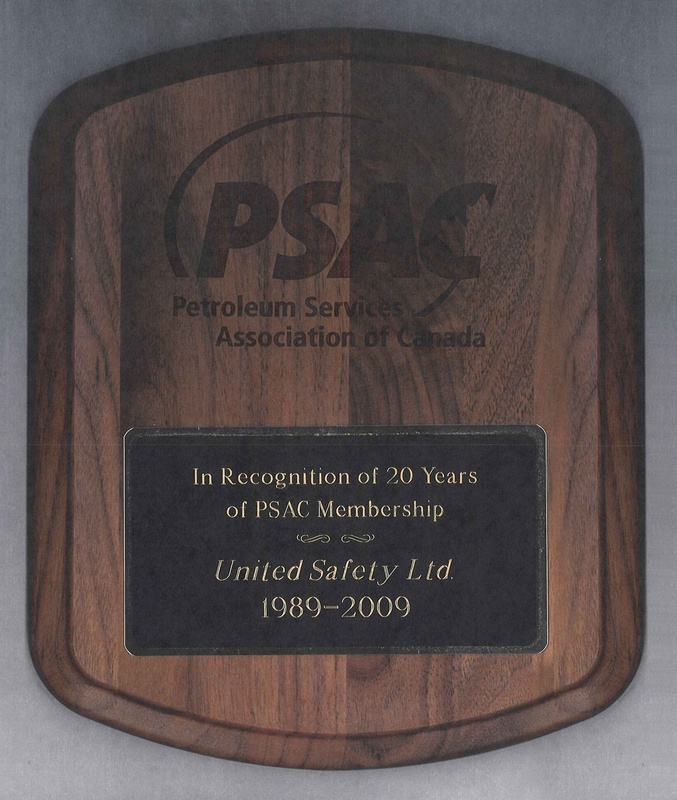 Petroleum Services Association Canada: United Safety received a Longstanding Membership Award from Petroleum Services Association Canada in recognition of the company’s invaluable contribution to the organization and for being an effective voice on behalf of its members. 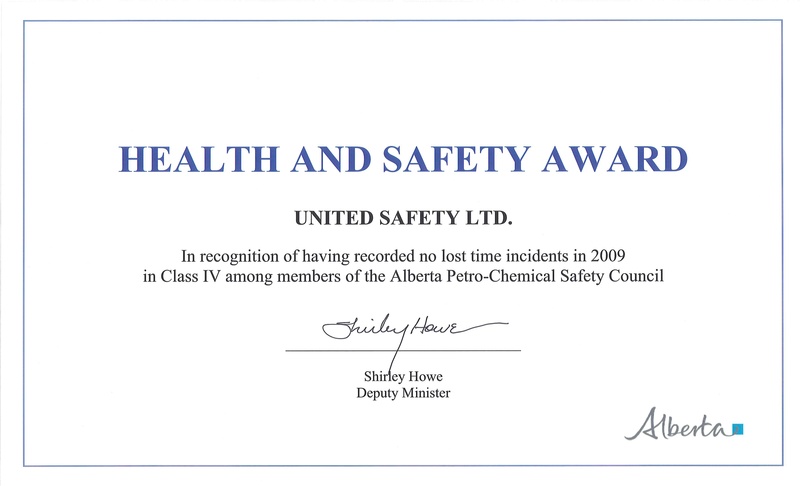 Alberta Petrochemical Safety Council: United Safety was awarded a Health and Safety Award in recognition of having recorded no lost time incidents in 2009 in Class IV among members of the Alberta Petrochemical Safety Council. Shell Canada Limited – Scotford Complex: United Safety was awarded a Contractor Safety Management Recognition Award by Shell Canada Limited – Scotford Complex in recognition of the company’s contribution toward achieving the highest level of safety performance and commitment of no harm to people at the Shell Scotford Complex. The voice of our customers guides our service improvement. We deliver the promised service to our customers through systematic and active listening, service reviews, field reporting and stewardship process. Click here to read testimonials from some of our satisfied clients.